In case you have not realized that Obama and his media minions' relentless playing of the "Race Card" could inspire violence, I have some news for you. The New Black Panther Party hosted a National Black Power Convention. "...prepare for war!" — folks, this is crazy talk. 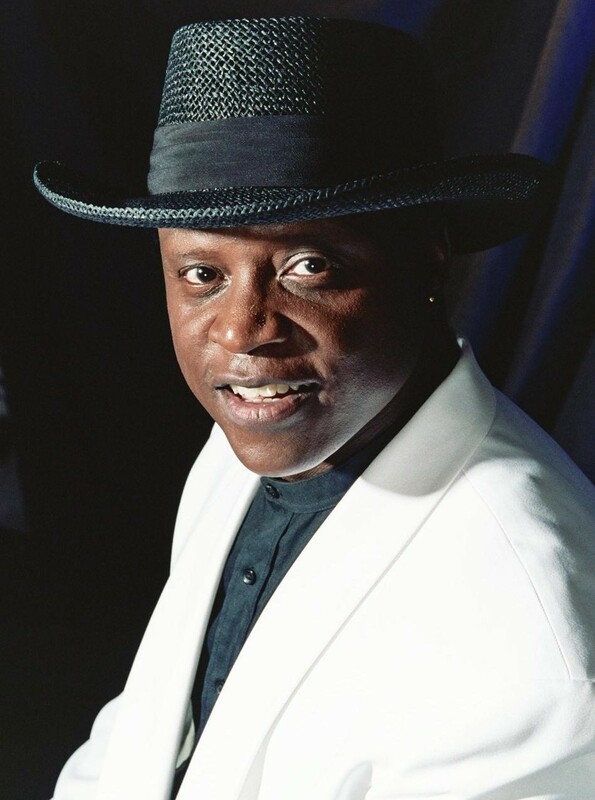 I am black conservative, singer/songwriter and tea party spokesperson, Lloyd Marcus. I have attended over two hundred tea parties across America on three Tea Party Express tours. Most assuredly, the tea parties are not about racism or hate. The truth is quite the opposite. The tea parties are about love; love for the greatest nation on the planet and a fervent desire not to see it transformed into something unrecognizable. The Tea Party Movement is no more complicated than that. Willing to sacrifice anything, including national race relations, to further their socialist/progressive agenda, Obama and the liberal mainstream media aggressively continue to sell their big fat lie, "America is Racist" campaign. This is pure evil. The latest installment by Obama and his media minions' to their "America is Racist" campaign is their misrepresentation of the Arizona Immigration law. In a nut shell, the law simply applies the same common sense rules to illegals as it does to Americans. The Arizona law says, if you are stopped for a traffic violation, you must show proper ID. The Arizona law is milder than the federal law and prohibits racial profiling. Unscrupulously, Obama even recruited the president of Mexico to assist in the promotion of his lie that the Arizona law is racist and racial profiling. Obama's sycophant liberal mainstream media refuses to report the truth about the Arizona law, the tea parties, Obamacare or anything else that would expose their socialist/progressive agenda. Meanwhile, angry illegals and supportive activists are threatening violence against the police. As a child, I naively thought only a great human being could become president of the United States. Obama has truly shattered my Norman Rockwell image of the quality of person capable of occupying the Oval Office. 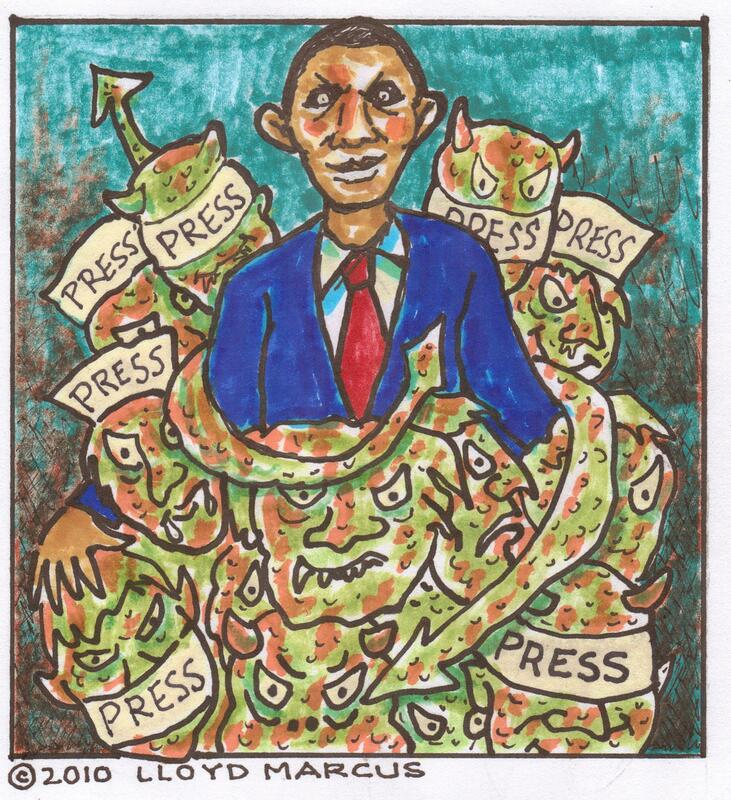 And when did the mainstream media completely sell it's soul to the devil. Despite catastrophic declines in revenue, subscribers, viewers and lost of credibility, the liberal mainstream media have thrown their chips "all in" betting on Obama. Conservative media are thriving. Apparently liberal mainstream media's mindset is "Even if it leads to a race war and attacks on the police, we will not report the truth regarding the tea parties and the Arizona law." On the surface it would appear We The People are helpless in holding Obama and his media minions accountable for their irresponsibly, divisive and violence inspiring "America is racist" campaign. Obama has the bully pulpit of the White House to spread his lies. A majority of the media are socialist/progressives. How can We The People possibly defeat them? Here is our game plan. Opposite of the typical irresponsibly "spoiled brat" behavior of the supposed peace loving, compassionate and tolerant left, we will not resort to violence. We will win by doing what is right, honorable and true. We pray. We unite. We trust God. Our strength is generated not by hate, but through our passionate love for America. 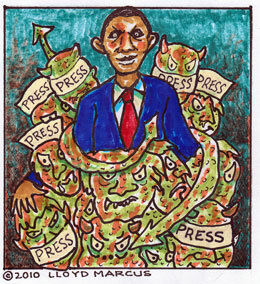 We must and will defeat Obama and his media minions. To all my fellow patriots, hang in there. I love you.